Hi there, Ollie here. Today I’ll be taking you through my research process, in picture form. 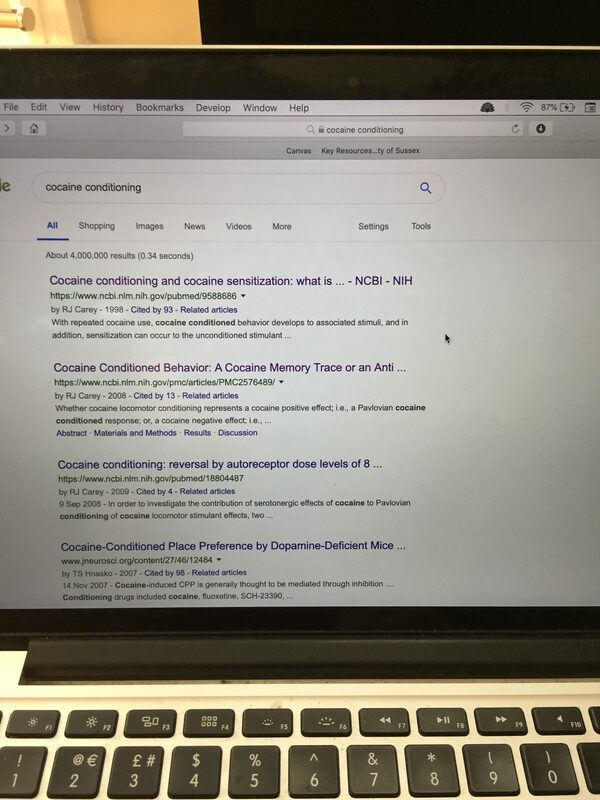 As a final year undergraduate, I’m currently doing my dissertation (which is on cocaine addiction). 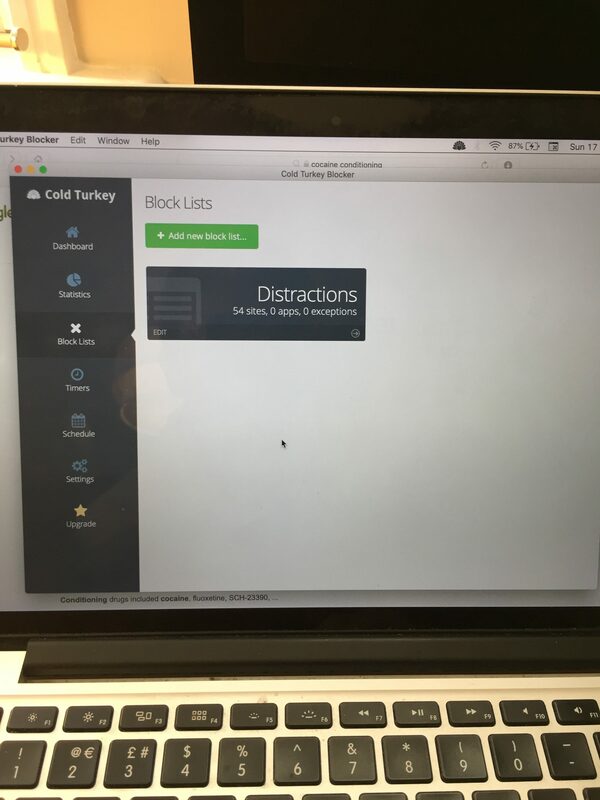 I start by using the Cold Turkey app to block distracting websites, so I can stay (more or less) focused throughout the research session. I then do quite a general Google search, just to get my eye in on the most famous articles in this general area. 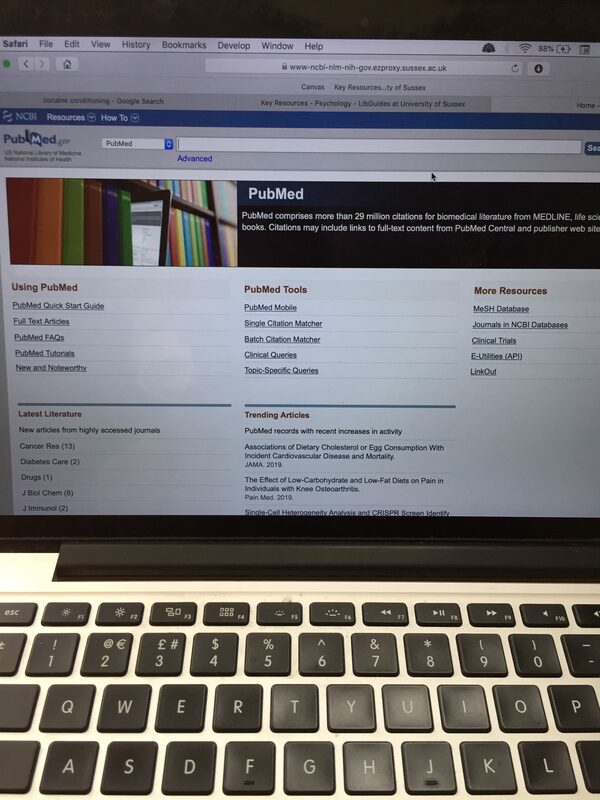 I then go to the Library’s subject guide and click on the link to PubMed. 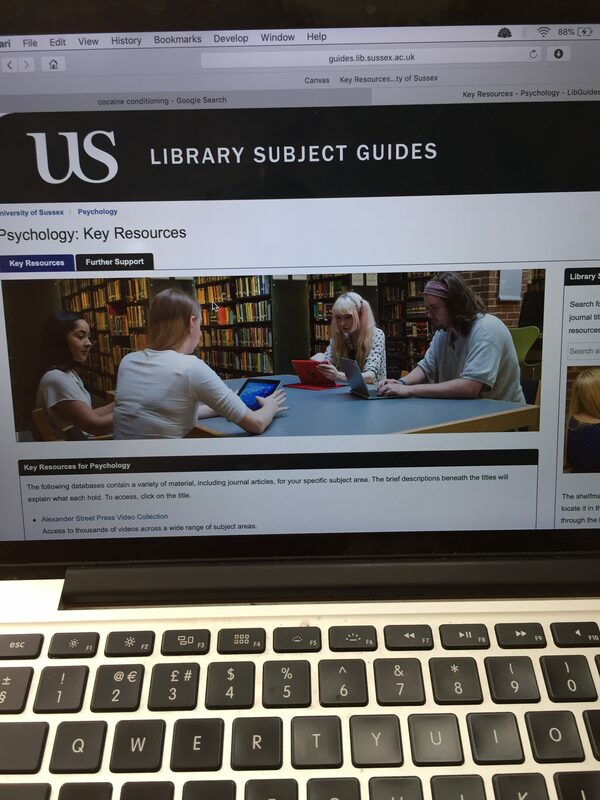 By going via the subject guide I can log into the account that lets me access the full-text articles. I use PubMed because my dissertation supervisor recommended it. It’s a good database for neuroscience articles, and my dissertation is quite neurosciencey. I then find the relevant article on PubMed. 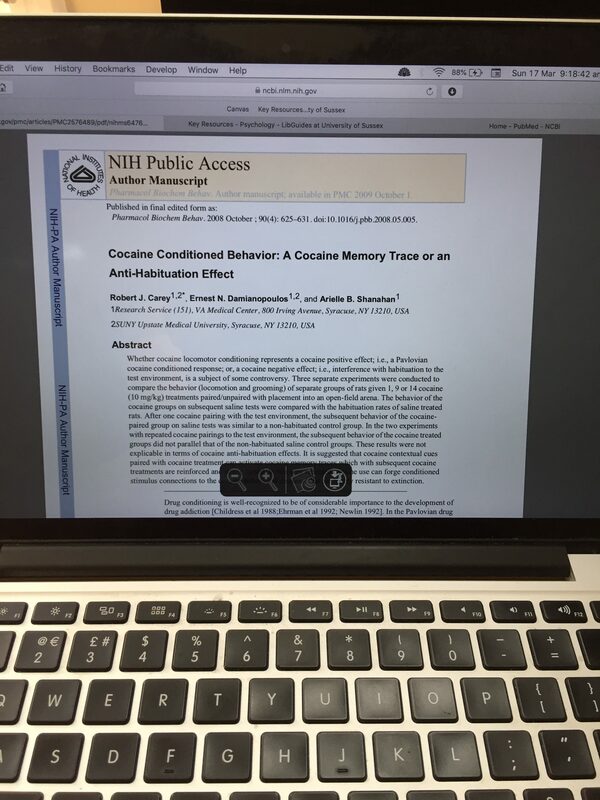 I access the full-text article and save a PDF of it to my computer. 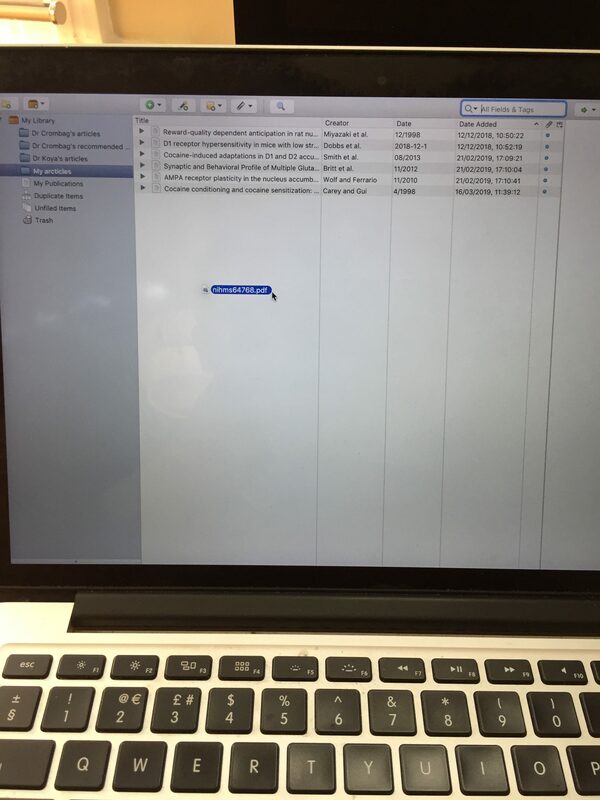 I then drag and drop this into Zotero, which manages my articles. 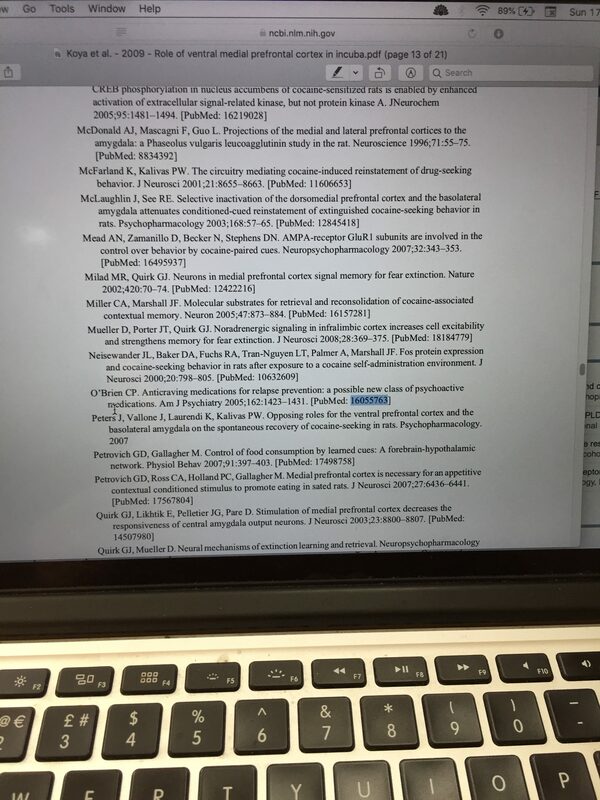 Another way I find articles is by searching up the articles cited in a relevant paper, by going to the References section and copying the PubMed ID and pasting it into the PubMed search bar. 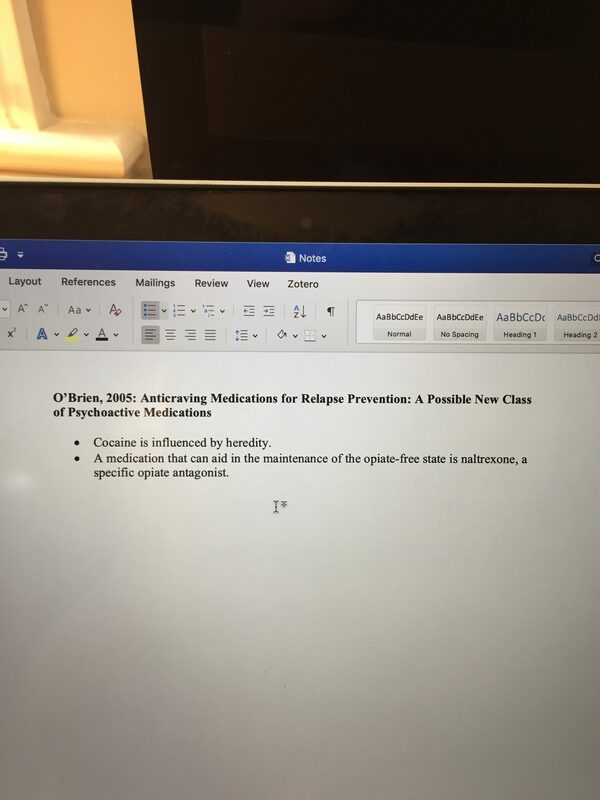 I then make notes on a Word document, often copying and pasting from the article PDF. ← Social science students – join our focus group! Thanks Ollie, really interesting. Do you begin by using Google or Google Scholar? Is there a reason that you begin with this, as opposed to Library Search? Thanks! I use both Google and Google Scholar as a broad search to see the most widely-cited ‘landmark’ articles. I use it over the Library Search because I can be sure Google/Google Scholar won’t miss any articles, as just about everything ever written is on there, which I don’t believe that’s the case for the Library (I might be wrong). Also, I find it easier to see and order by the number of citations (a pretty good measure of a paper’s popularity) on Google/Google Scholar than the Library Search. But as I say, that’s just as an overview. 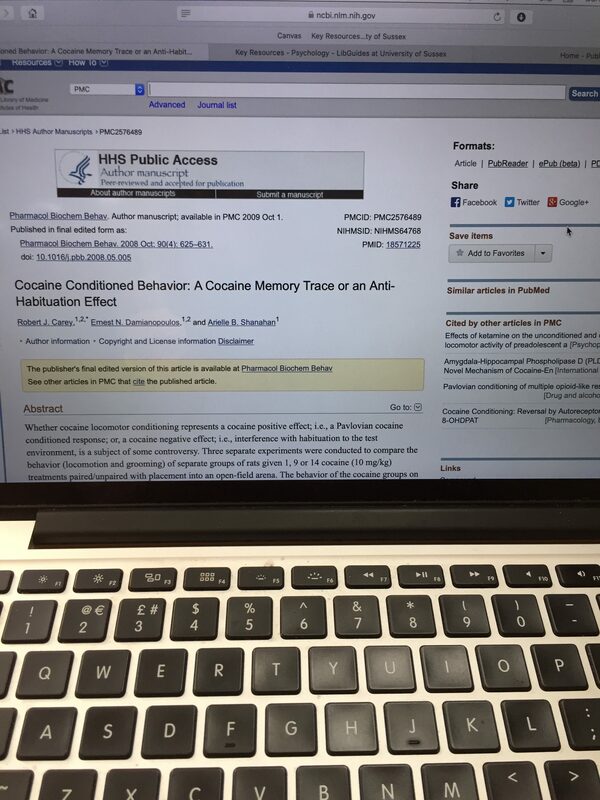 I mostly use PubMed, often copying and pasting citations from relevant articles’ reference section.